President Muhammadu Buhari is scheduled to preside over a meeting of the Council of State on Thursday at the Presidential Villa, Abuja. This is the third time Buhari will be hosting the meeting of the council that has all living former Presidents and Heads of Government as members since he assumed office in 2015. 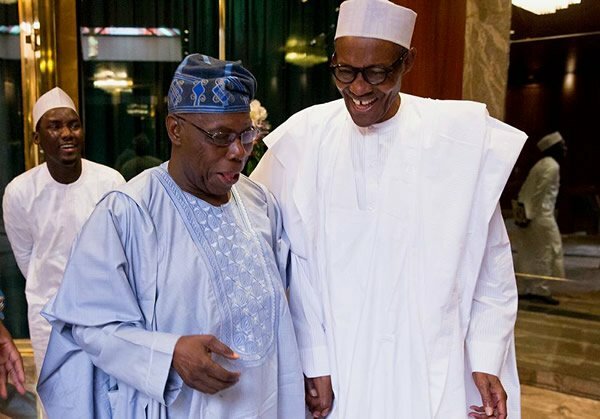 Those expected at the meeting scheduled for the Council Chamber of the Presidential Villa include former President Shehu Shagari, former President Olusegun Obasanjo and former President Goodluck Jonathan. Others expected to be in attendance include former military Heads of State, Gen. Yakubu Gowon (retd. ), Gen. Ibrahim Babangida (retd. ), Gen. Abdulsalami Abubakar (retd. ), as well as the former Chairman of the defunct Interim National Government, Chief Ernest Shonekan. Vice-President Yemi Osinbajo will also attend the meeting alongside the Senate President, Bukola Saraki; Speaker of the House of Representatives, Yakubu Dogara; all living former Chief Justices of Nigeria; all the 36 state governors and the Attorney General of the Federation, Abubakar Malami, who are all members of the council. The spate of killings being carried out by herdsmen in parts of the country is expected to form part of discussions at the meeting. The two earlier meetings of the council presided over by Buhari were held in October 2015 and September 2016. The council has the constitutional duties of advising the President in the exercise of his powers with respect to national census, prerogative of mercy, award of national honours, the Independent National Electoral Commission, the National Judicial Council and the National Population Commission. It also has the responsibility of advising the President whenever requested to do so, on the maintenance of public order within the federation or any part thereof. Meanwhile, the governorship candidate of the Peoples Democratic Party in the 2017 poll in Anambra State, Mr. Oseloka Obaze, has blamed both the federal and state governments for the proliferation of arms in the country. He also blamed the failure of policy makers in both the federal and state governments in addressing the issue of proliferation of dangerous automatic weapons for killings by herdsmen who are in possession of such arms. Obaze, who spoke on The Political Economy of Cattle Colony in Nigeria at this year’s annual lecture organised by the Department of Economics of the Nnamdi Azikiwe University, Awka, described the frequent clashes between herdsmen and farmers as a national disaster in the making, regretting that there had been incremental militarisation of Nigeria’s domestic and geopolitical space.